Vocaloid, Virtual Vocalist from Tone2. 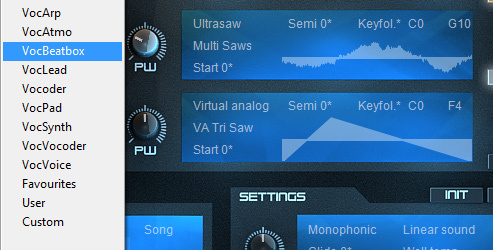 Vocaloidoffer offers a selection of presets with a focus on vocal and formant sounds. 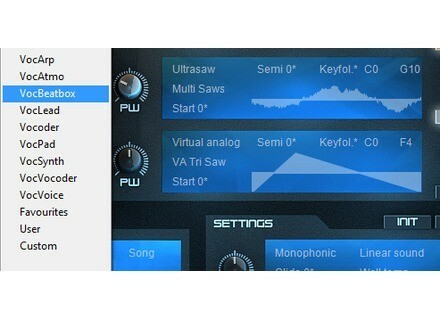 Including vocal pads, vocoders, rhythmical sections, human beatboxes and sound effects, Vocaloid uses ElectraX's wavetable synthesis and sampler features. 240 individual presets with new wavetables and samples, from an ambient choir to a growl. This vocal library contains both synthesized and resynthesized material incorporating 200 MB of new sample content, due to its multi-layer and complex patch setup the complete soundset features a total of 400+ sounds. For more information visit the Vocaloid product page. Focusrite Forte Forte features two remote-controlled mic preamps, the same mic pre that features in Focusrite's RedNet range. Roland Duo-Capture EX The new Duo-Capture EX is suited for both home recording and mobile production. rsTouch Reason Controller for iPad Harmony Systems announced the availability of Delora rsTouch.